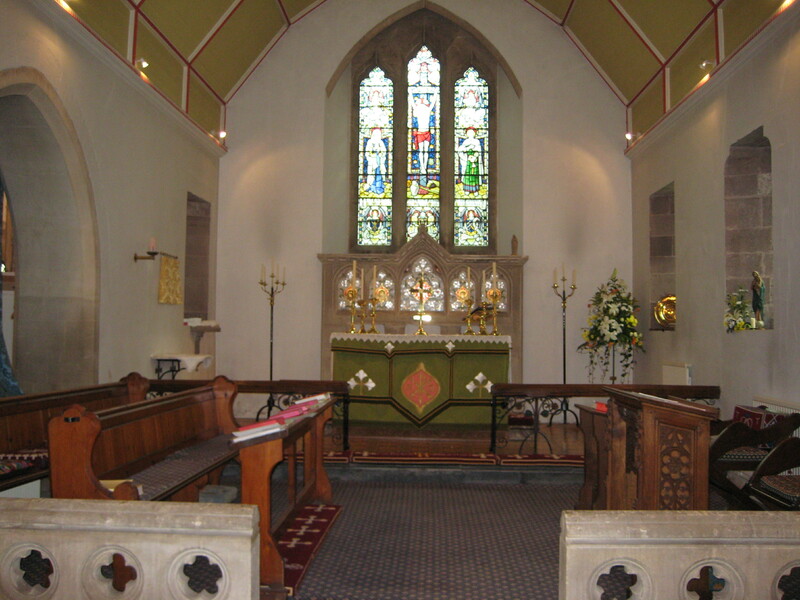 St. Michael’s is a delightful church, steeped in history which starts in the 12th century. 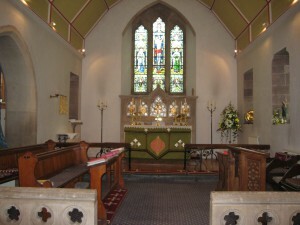 It underwent complete restoration in the latter part of the 19th century. There are windows dedicated to members of the tragic Eckersall family………..Frederick died in 1865 at 31 after “long and patient suffering”. He was the only son of the Rev. Charles and Mrs. Mary Anne Eckersall. Frederick’s sister Catherine, died in 1849 at the age of 18, and another sister, Agnes, died at only 5. 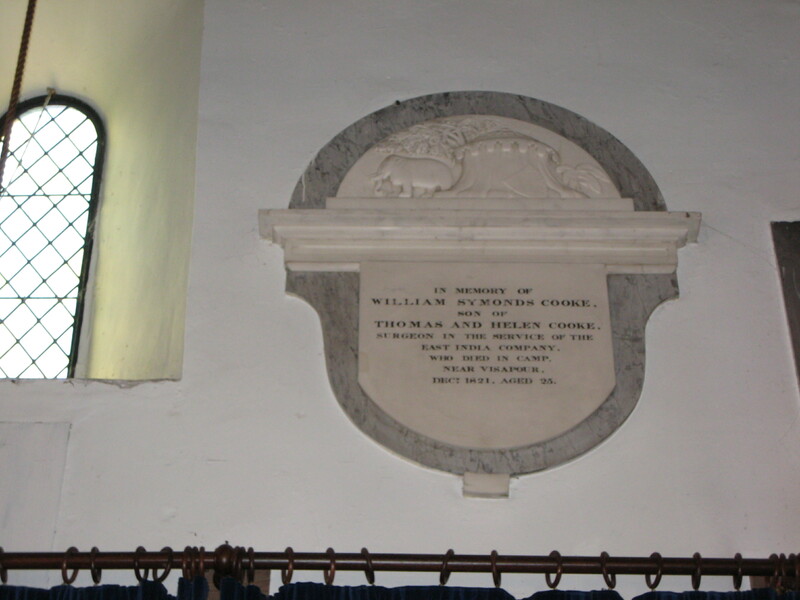 William Symonds Cooke, son of Thomas and Helen, surgeon in the service of the East India Company. Died in camp near Visapour in December 1821 aged 25. 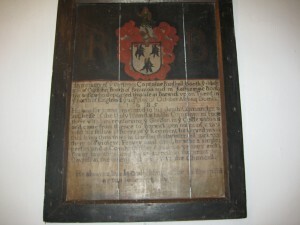 Captain Rudhall Booth, died 29th October 1653 whilst in command of the Holy Island Garrison. (His brother Charles went into exile with King James 1 and died in France). 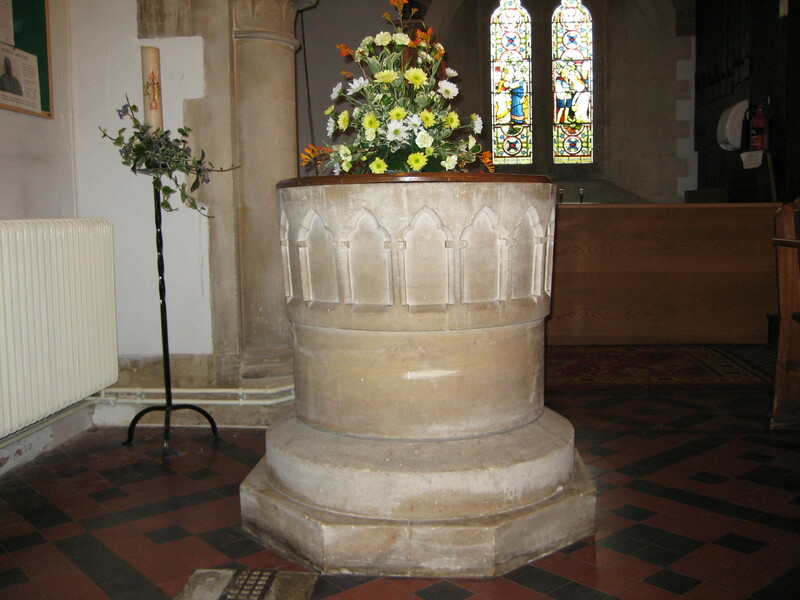 There is a memorial dedicated to Edward Charles Bulmer……..during the second world war when he was in the RAF he was tragically killed when a stricken bomber returning to the airfield veered off course, and Charles was struck by a wing tip. 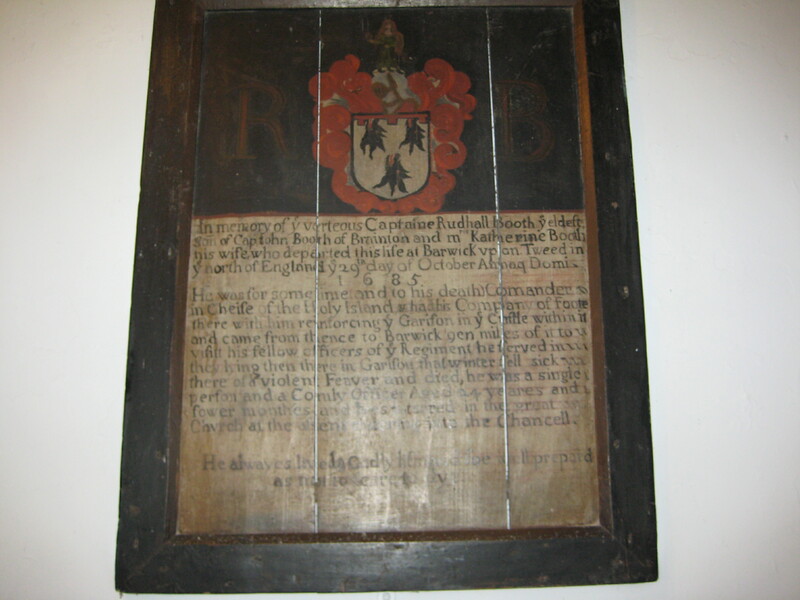 He and many others of the Bulmer family lived in the parish of Breinton, but most were actually buried at Credenhill or St. Nicholas. Outside amongst the graves are some gems: Charles Vincent Gorton has a line of music on his stone, from the Apostles, by Elgar. The grave is part of the famous Elgar trail. 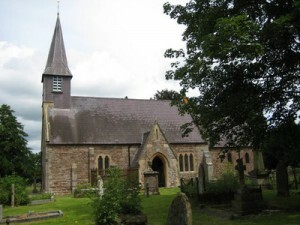 Charles Hassard Wilfred Dodgson lies buried near the West door of the church….he lived in Breinton House and was related to another Dodgson who is more commonly known as Lewis Carroll. Thomas Pritchard, and his wife Ann who died March 1820 aged 82.